WhatsApp, one of the world’s largest messaging services, just became easier to access for those who do not want to pay a monthly service provider for data. 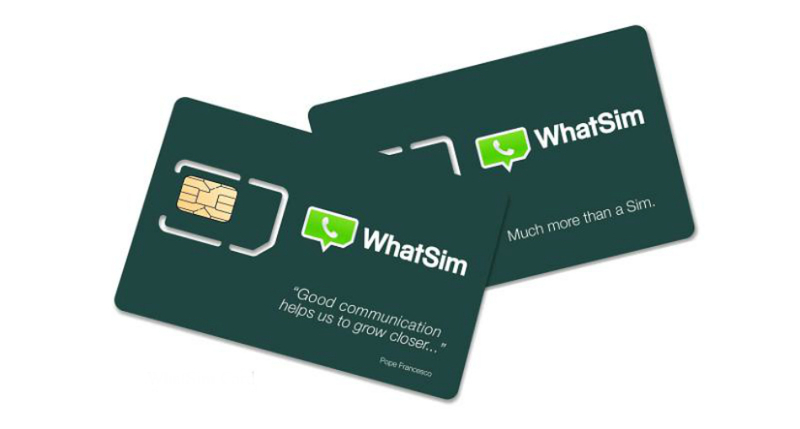 Announced this morning, WhatSIM allows users to connect WhatsApp to any of 400 operators in 150 countries. WhatSIM only costs €10 upfront, with no monthly payments or expiration. The idea is straightforward. Without the need for a phone plan or data service, pop the WhatSIM into your phone, then gain access to whichever provider you are closest to. Once connected, you can use the WhatsApp app to send messages to anyone you would like, free of charge. To help explain the service, here is a brief breakdown from the press release. Anywhere in the world it connects to the provider with the best coverage and signal right where you are. If you change your position, it automatically searches for a new provider. If a better one is available, it connects by itself without you even noticing it. Everyone now uses WhatsApp, even when traveling. But you need a data or Wi-Fi connection to chat for free. The most common problem is that the roaming data connection is usually expensive and Wi-Fi is not available everywhere and often it is not even free. WhatSim allows you to chat with WhatsApp whenever you want. Being pushed primarily overseas it appears, US residents may not be able to take advantage of WhatSIM, but that could change in the future. Video: DODOcase Moto 360 Watch Bands First Look!